While many Veterans with brain injury and their caregivers hope that prescription medicine relief is on the way, the Department of Veterans Affairs (“the VA”) has a very poor track record in providing Veterans with the care that they deserve. More to the point, prominent spokespeople for the VA – like Dr. David Cifu – give misleading information when they claim that the VA provides the best available treatment programs for PTSD and TBI. This is simply not the case. In fact, there are hundreds of stories documenting the frustration of Veterans with the staff of the VA. The suicide of Veteran Eric Bivins as told by his wife is just one of many horrific stories of how doctors at the VA callously treat Veterans. 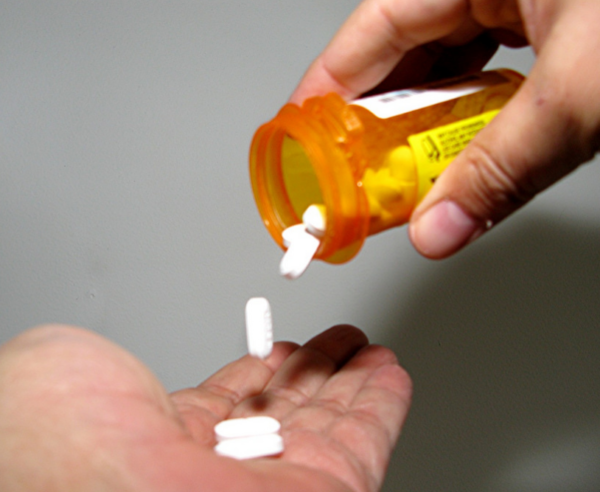 When all else fails (as it normally does), the VA prescribed drugs – in many cases, opioids. Mind-altering drugs was to “go-to” choice for overworked VA medical personnel who still don’t know how to deal with, let alone treat brain injury. While we all remain hopeful that drug relief is just around the corner, it seems likely that the new “miracle” drug will only deal with the symptoms of behavioral changes caused by PTSD and TBI. Veterans consulted by SFTT seek a permanent or semi-permanent solution that avoids invasive drugs. Found below are questions Veterans and their caregivers should consider when thinking about using “alternative” drugs. There is a vast difference between providing therapy that permits Veterans with PTSD and TBI to recover their lives than supplying prescription drugs which treats the symptoms. As the public has painfully learned from the opioid epidemic, prescription drugs that treat only the symptoms can have detrimental side-effects. The VA continues to help fund initiatives to identify less addictive drugs that help Veterans cope with chronic pain, depression and anxiety. Clinical trials take several years to complete and there is a lengthy regulatory and review process to obtain FDA approval. Opioids: Bi-Partisan Incompetence in D.C.
SFTT sincerely hopes that researchers and the medical profession will hopefully create a variety of new – and less addictive – drugs to treat Veterans with PTSD and TBI. Nevertheless, members of the medical profession must clearly distinguish between drugs that treat “symptoms” and those that may offer long term remission from brain injury. For reasons that are not entirely obvious, the VA does not make that distinction public. Sadly, the VA’s track record is not good in dispensing prescription drugs to Veterans with brain injury.